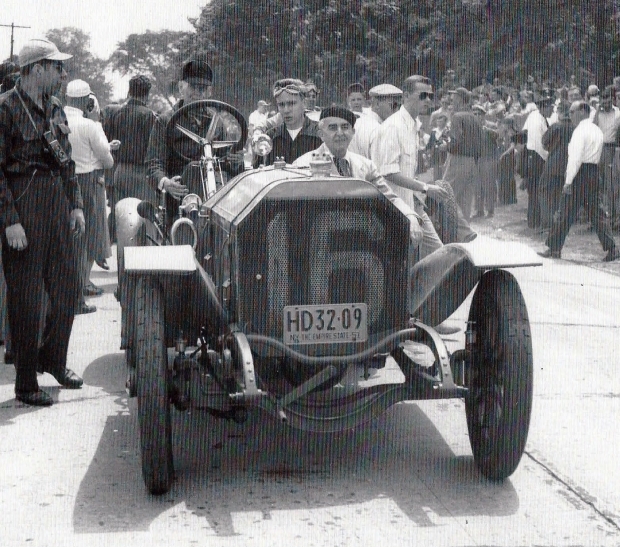 Old 16 Locomobile, the winner of the 1908 Vanderbilt Cup Race, was owned by the Helck family for 55 years from 1942 to 1997. 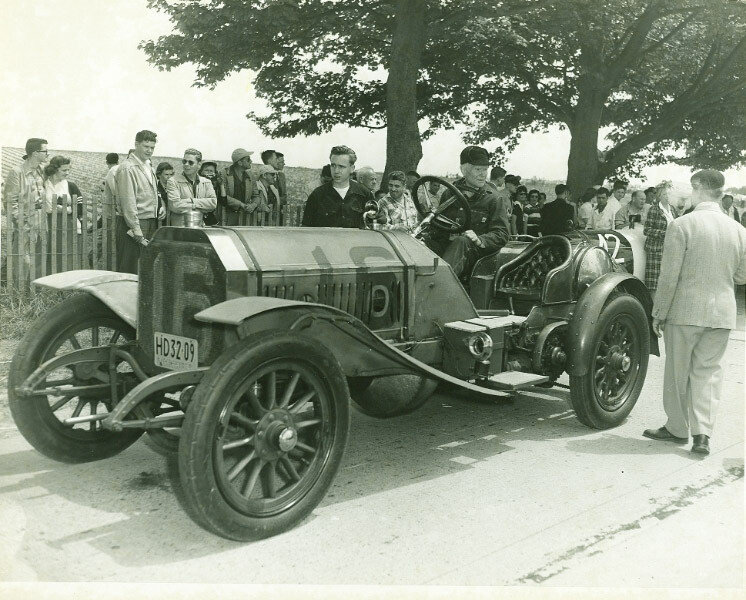 Nobody was photographed more frequently with this historic racer than Jerry Helck. Photos courtesy of the Helck Family Collection and Walt McCarthy. 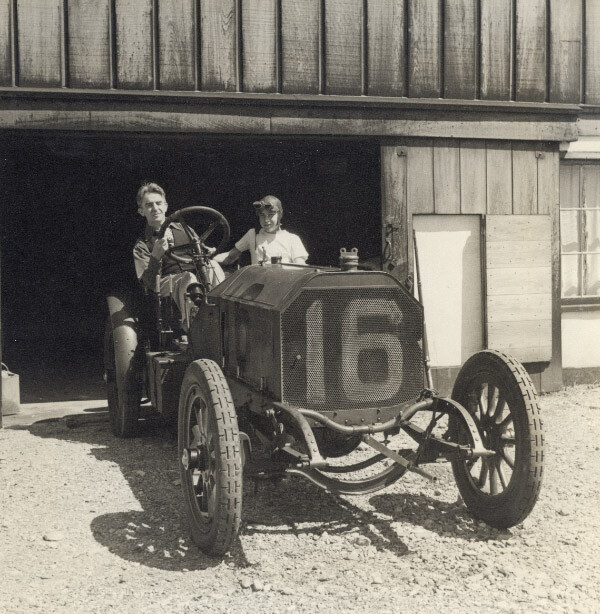 This is the earliest known photo of Old 16 after Peter Helck purchased the racer in 1942. 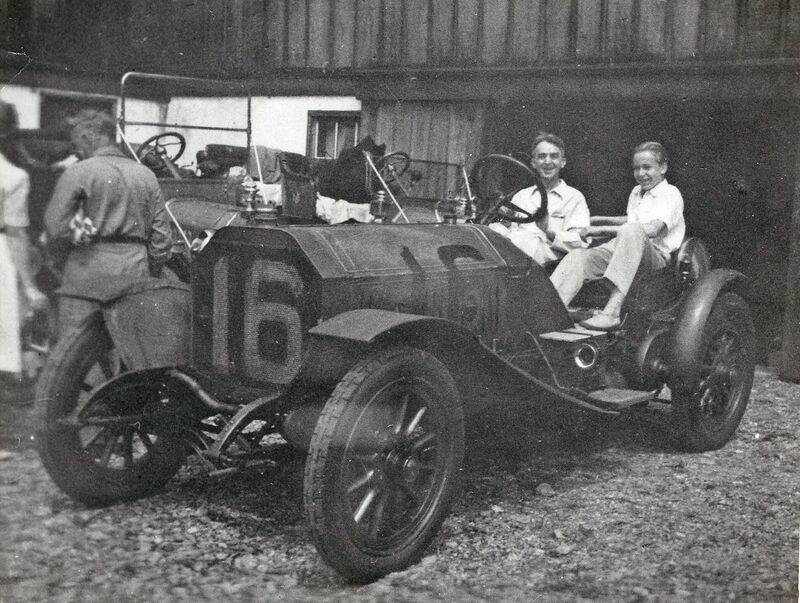 From left to right: Joe Tracy, Peter Helck and 12-year old Jerry Helck. 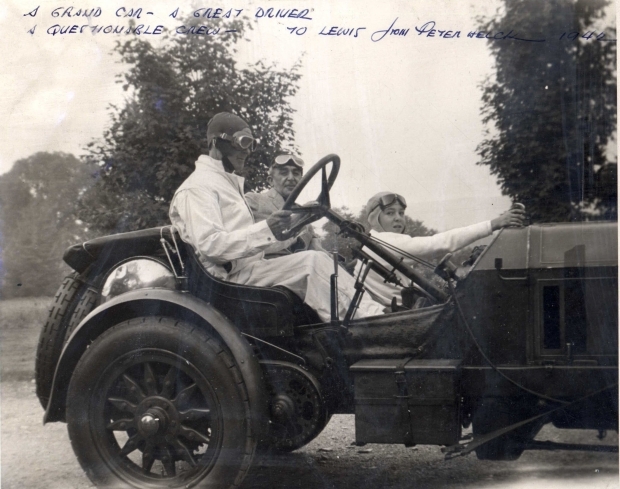 Peter Helck's caption: "A grand car, a great driver and a questionable crew". This photo was a gift to Helck's artist friend Lewis Daniel. Photo courtesy of Tim Helck and Jonathan Daniel. 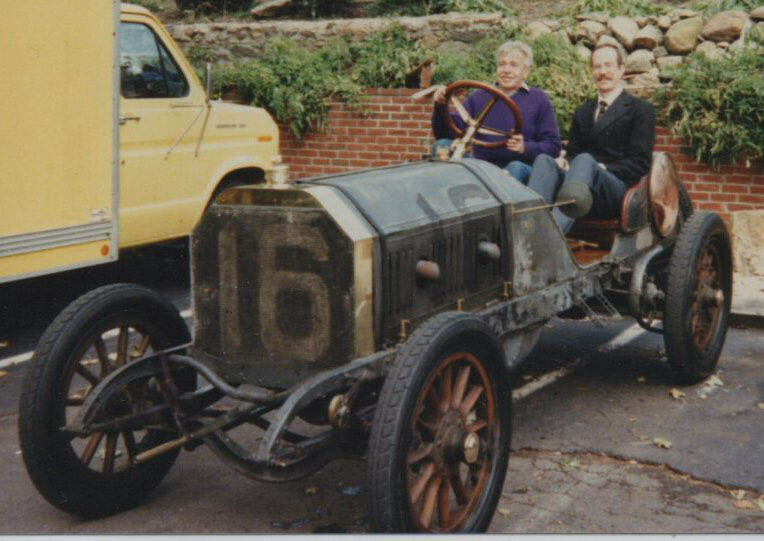 Two years after purchasing Old 16, Peter Helck held a rally at his Boston Corners, New York home. Joe Tracy, Frank Lescault and Jerry Helck in Boston at the 1946 Glidden Tour. 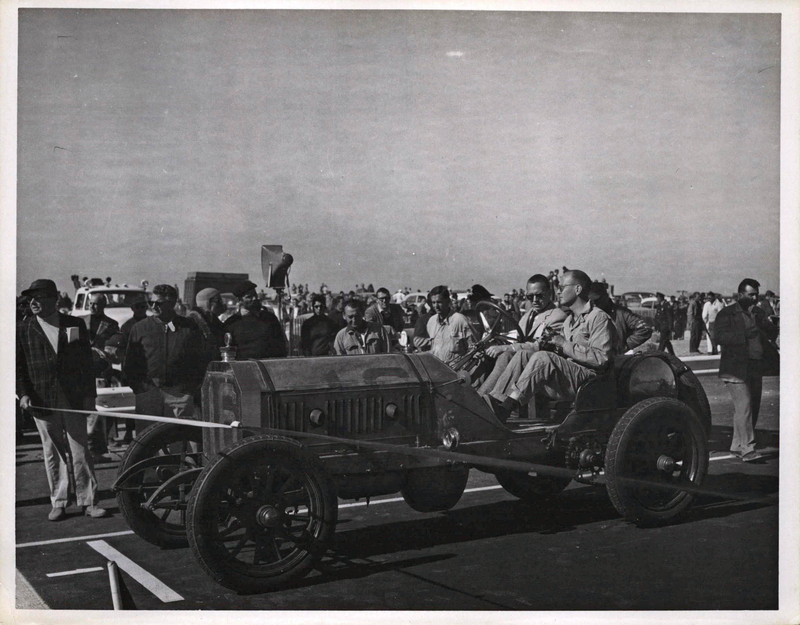 In June 1946, the Veteran Motor Car Club of America sponsored its 50th Anniversary Jubilee featuring a parade of 75 vintage cars and nine races at the Mineola Fairgrounds on Long Island. 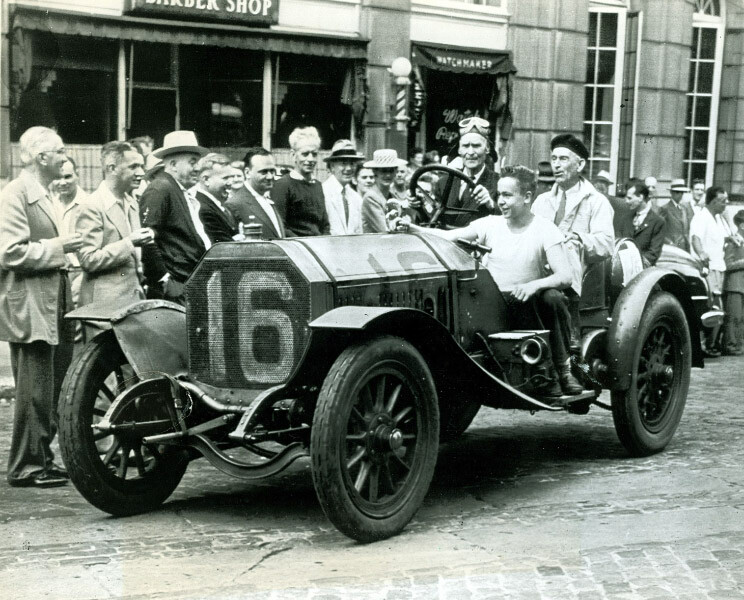 The most famous car in the Jubilee was the Old 16 Locomobile, winner of the 1908 Vanderbilt Cup Race. 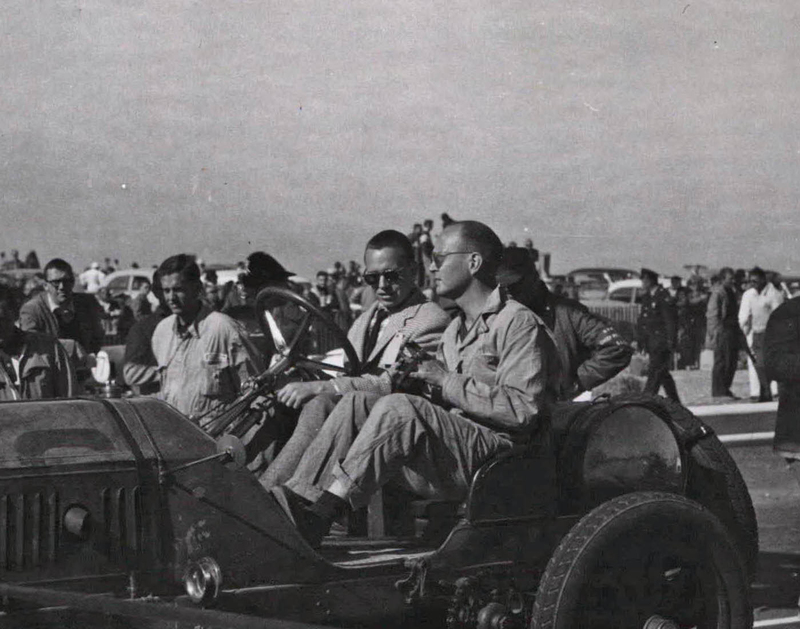 The racer was owned by the prominent artist Peter Helck, driven by 74-year old veteran Joe Tracy with 15-year old Jerry Helck as his mechanician. 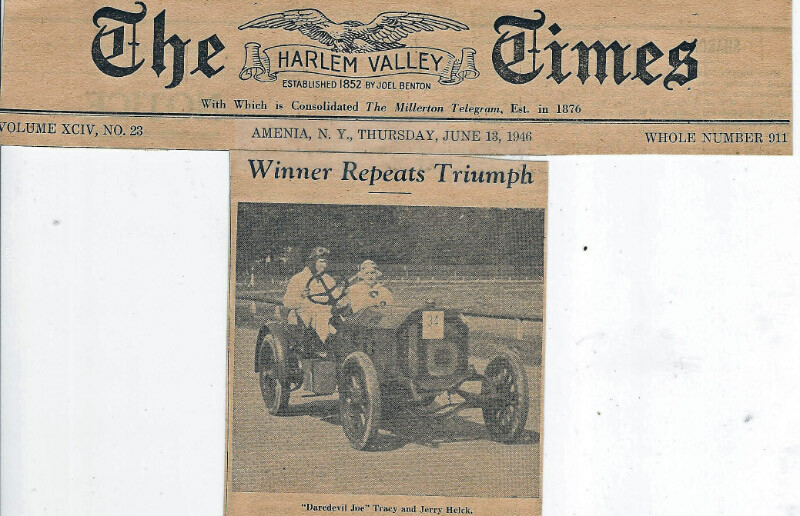 The final Jubilee race was won by Old 16 beating a 1911 "Breese of Paris" Racer driven by Bobby Breese by only six inches. 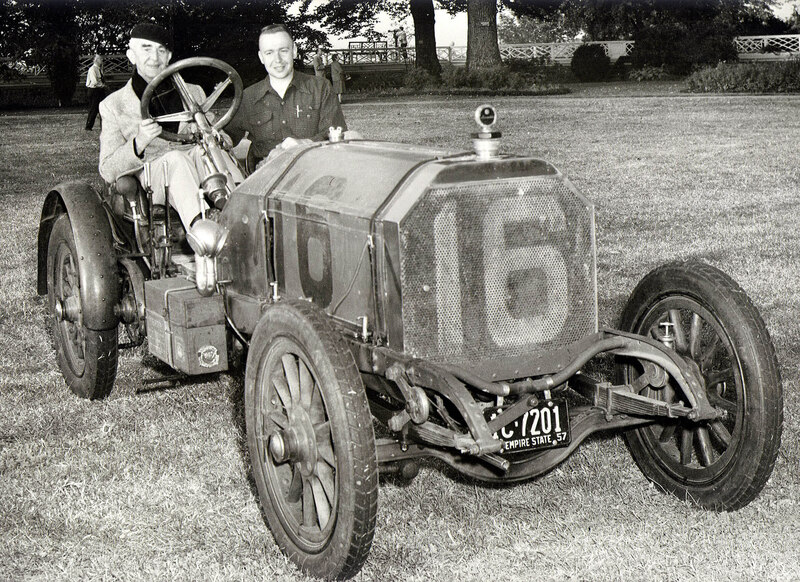 This was likely the last race in which Old 16 was driven by Joe Tracy. Old 16 continued to participate in vintage races well into the early 1990s, including the VSCCA Fairmount Park (Philadelphia) Vintage Race. 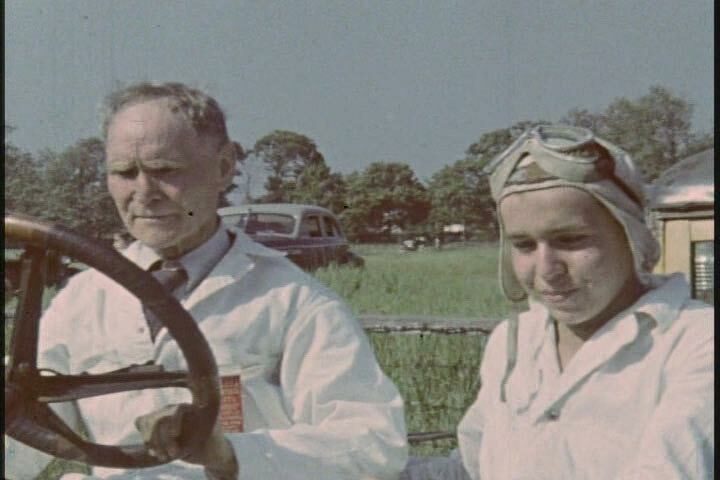 Courtesy of Walter McCarthy and the Long Island Old Car Club, the highlights of the Jubilee have been captured in this 4-minute film. 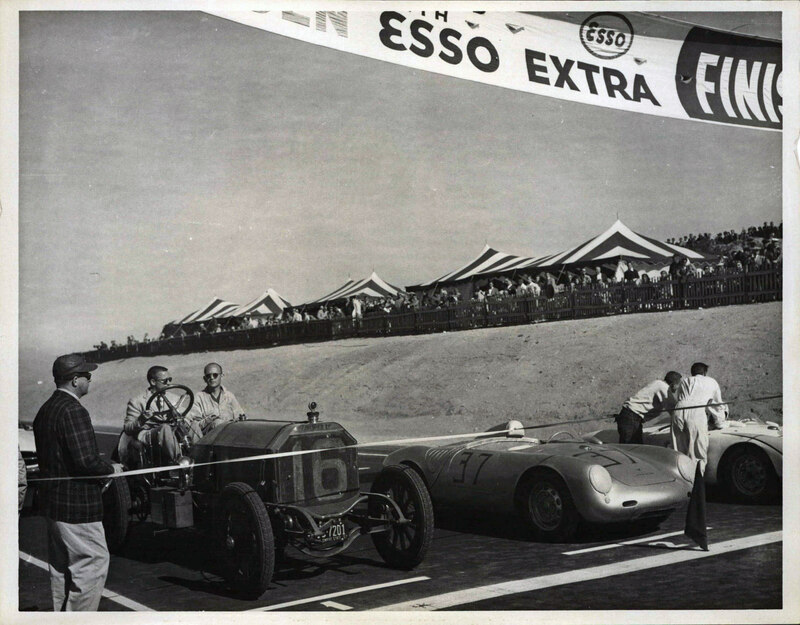 Old 16 driven by Joe Tracy with Jerry Helck and owner Peter Helck during the exhibition lap at the 1952 Bridgehampton Sports Car Races on May 24, 1952. 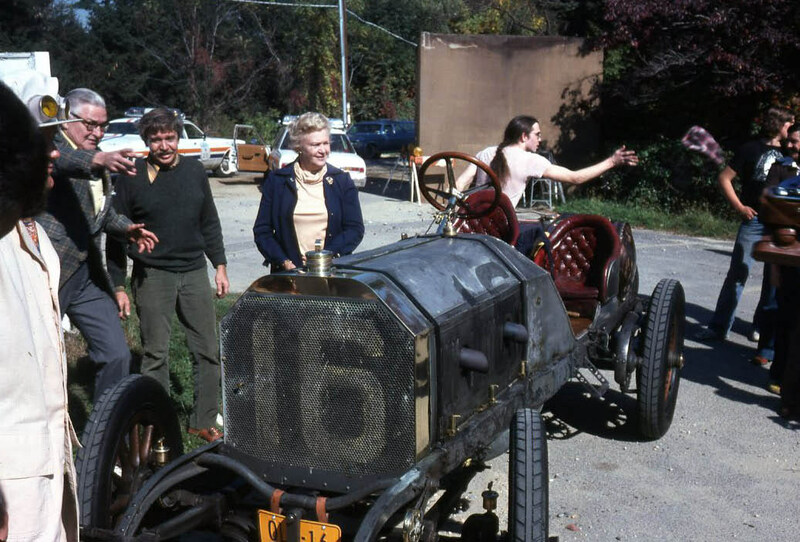 For the inaugural races at the Bridgehampton Race Circuit in 1957, Old 16 participated in the Vintage Exhibition Run with Jerry Helck as the driver. 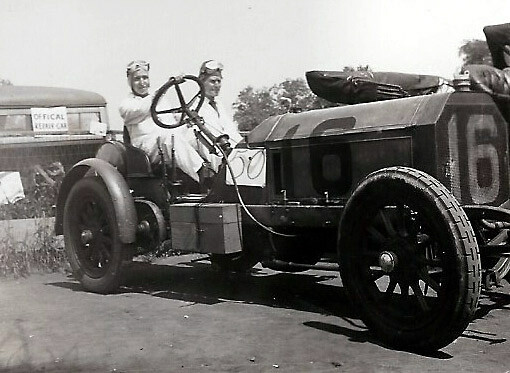 Jerry Helck and Walt Gosden in Old 16 at the 80th Celebration of the 1909 Vanderbilt Cup Race. This images speak volumes, past to present. Amazing photos of Old 16. Glad they’re still preserved after all this time. Old 16 and Old 8 are tops in the horseless carriage category. Both souped up to outperform their international rivals. And they both succeeded. Amazing both vehicles still exist today after 110+ years! Nicely presented article. And as the Motometer man I love the pictures with the gauge prominently featured on its radiator filler tube perch. 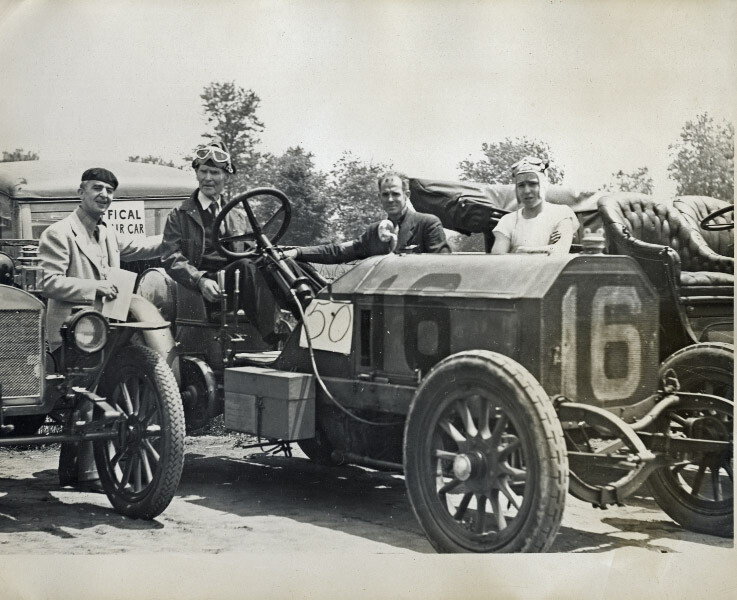 FYI - The motometer brand and type appears to be a Boyce Moto-Meter De Luxe Type and would indicate that the photos with it attached to the vehicle were taken after 1919 as that is when this model Type was initially commercially introduced to the public.